The 16th Century Suit of Armor Display is a life size, beautiful display piece. The 16th Century Suit of Armor Display is handmade of aluminum. 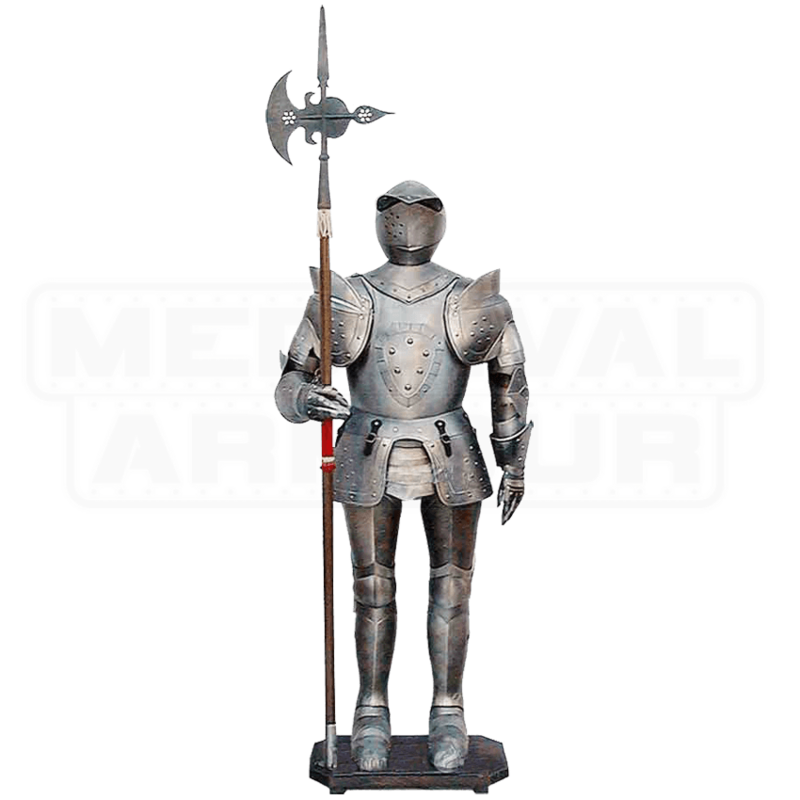 This impressive medieval suit of armour is made in Italy and styled after those crafted in Europe during the mid 1500s. It features a traditional crested breastplate, raised stud detailing, broad-guarded pauldrons (shoulders), and an antique finish to give an aged appearance. Stand this armour in the middle of a room or against the wall, as it has great styling that is pleasing to view from all angles. This awesome armour stands almost 6 feet tall on its wooden base, but reaches a stance over 7 feet when you add the height of its halberd. 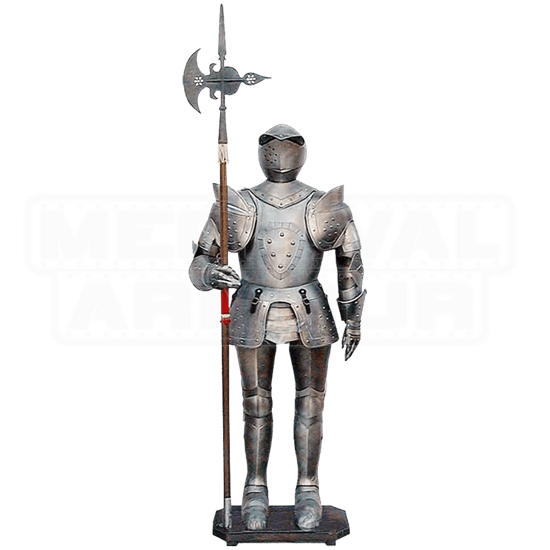 A life size armour complete with stand and large halberd is awaiting its place in your home or office, and your life!